At Delta Plumbing & Electrical, we do it all! In addition to plumbing services, our team also specializes in electrical services, water heater repair and water heater replacement to residential and commercial clients. When you call Delta Plumbing & Electrical for service, we'll start by discussing what you need from our team. We'll work closely with you to determine the issue and all necessary repairs. Then, we'll schedule a convenient time to visit your property and carry out our services. To get started, call our office today. Our team offers same-day water heater replacement for all manufacturers. Hire the experts in safe, reliable wiring and fixture installation. From sewer lines to leaky faucets, we can help with all your plumbing needs. Our team is fully insured for all plumbing and electrical services. 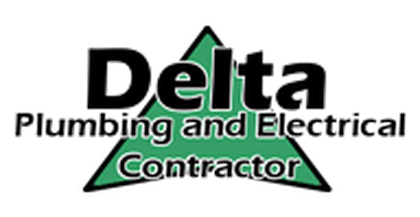 If you're looking for a contractor in Asheboro, North Carolina, make Delta Plumbing & Electrical your first choice. Contact our team now to schedule a service call. Tired of Sketchy Contractors Wasting Your Time? Why hire Delta Plumbing & Electrical for your next job? If you're looking for a reliable and respectful plumber in Asheboro, NC, we'd love to hear from you. Call us anytime. Copyright © 2019 Delta Plumbing & Electrical Contractor, all rights reserved.